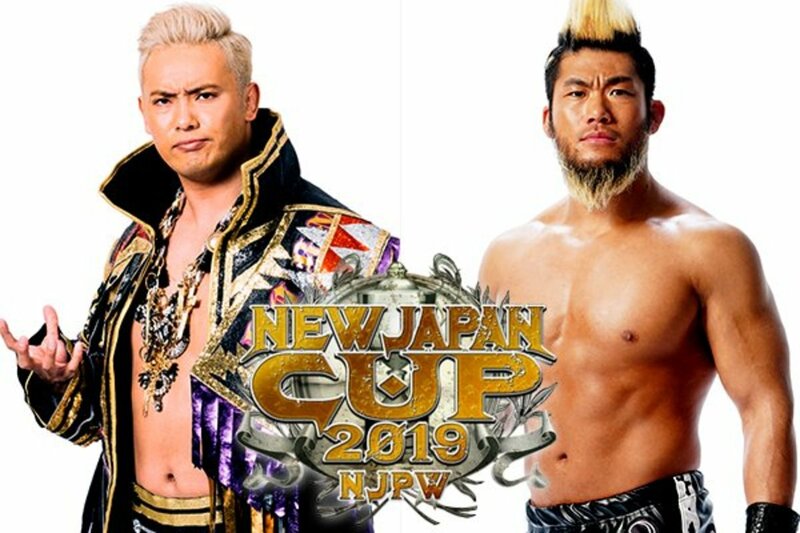 The finals of this year’s New Japan Cup is now upon us. Kazuchika Okada and SANADA have bested through some of the best talent New Japan has to offer and have made it to the finals. Okada defeated Tomohiro Ishii to advance to the finals, while SANADA defeated Hiroshi Tanahashi in what many would consider an upset to claim his spot. The winner of this year’s tournament gets a crack at Jay White for the IWGP Heavyweight title. And it’s not just anywhere: it will be at New York’s Madison Square Garden at the G1 Supercard next month on April 6. Meanwhile, Chase Owens will get his first major title shot in NJPW as he will challenge Juice Robinson for the IWGP United States championship. He beat Juice clean in the first round, and even though he was immediately eliminated in the next round by YOSHI-HASHI, he’s proven himself worthy of a title shot. Join us for live coverage starting at 2 a.m. EST. There will be English commentary. The youngsters bumped all over the place for the veterans early on, fighting from underneath. Tsuji slammed Nakanishi, then hit a powerslam on Nagata, as the momentum shifted. Nagata powered out of a crab, then hit an exploder for a nearfall on Uemura. Tsuji broke up the pin, but Nakanishi entered and put him in the backbreaker rack. With Tsuji at bay, Nagata used the Nagata Lock II on Uemura for the submission. They packed a lot into eight minutes. This was a step up from the opener, but not spectacular. Tenzan hit a bunch of Mongolian chops on Colt early on. They locked up, and Colt broke cleanly against the ropes. Tenzan refused to follow suit when he had the chance. Colt took over on Tenzan after Tenzan and Kojima missed a headbutt/slingshot elbow drop double team move. Colt hit Tenzan with Mongolian chops, and Tenzan countered with a mountain bomb. Kojima hit the machine gun chops, but Colt rolled out of the way before Kojima could execute his top rope elbow. They tripled up on Elgin, and Umino hit a vertical suplex for a nearfall. Umino went for a missile dropkick, but Elgin turned it into a powerbomb for a nearfall. Umino used a rollup for a good nearfall on Elgin. Elgin hit a lariat for a two count, then hit a buckle bomb, followed by an Elgin bomb for the pin on Umino. Suzuki-gun continued their winning ways, wrapping up this tour with another victory. Suzuki-gun attacked before the bell. Suzuki attacked Makabe with a chair on the outside, while Smith and Archer worked over Yano in the ring. Archer did a ropewalk spot, then tagged Suzuki. Yano used a thumb to the eye and an inverted atomic drop, then tagged Makabe. Makabe hit ten punches in the corner, then a northern lights suplex for a two count. They traded forearm shots, and Suzuki dropped Makabe. They used a misdirection spot, and Suzuki tagged Archer, as Suzuki-gun cut the ring in half. Makabe managed a tag to Honma, who hit a bulldog and a kokeshi on Archer. Archer hit a Black Hole Slam for a nearfall. Makabe came in and hit a lariat, allowing Honma to recover. Honma hit a kokeshi for a nearfall. Honma went for a kokeshi off the second rope, but missed. Suzuki jumped in and put Honma in a choke, then Smith and Archer hit the Killer Bomb. Archer pinned Honma. The match was secondary to the storyline advancement here, as they continued the build for Naito vs. Ibushi, and planted seeds for EVIL vs. Ishii. Taguchi did some comedy early, calling plays for Ibushi and Narita. Ishii refused to play along. LIJ cornered Taguchi, who then did the LIJ fist raise, but they weren't having it. Naito used a figure four on Taguchi, who reached the ropes. Taguchi managed to hit a combo DDT/inverted DDT on Naito and BUSHI, then tagged Ibushi. Ibushi lit Naito up with kicks, then hit a standing moonsault for a two count. Naito responded with the combinacion de cabron for a two count. Ibushi avoided Gloria, landed on his feet out of a release german, then hit a roundhouse on Naito. Ishii and EVIL got tags. Ishii dropped EVIL, but EVIL popped right back up. They traded strikes. EVIL dropped Ishii to a knee with elbows, then hit a thrust kick. Shingo tagged in, and Ishii greeted him with a powerslam. Narita got a tag, and hit an awesome release belly-to-belly. Narita followed with a vertical suplex, but Shingo hit a lariat. Everyone jumped in and hit a big move, highlighted by Ibushi hitting Naito with a Last Ride. Shingo and Narita were left the legal men. Narita used a rollup and a magistral cradle for great nearfalls. Narita ducked one Pumping Bomber, but Shingo hit a second, and pinned him. Ibushi taunted Naito after the match, then left ringside. EVIL and Ishii had a pull-apart in the ring. This was also about building future matches, with Taichi in line for a NEVER title match, and teasing the possibility of Sabre defending his RevPro title against Tanahashi. Sabre went after Tanahashi while he was taking his ring jacket off. Ospreay jumped in to make the save. TAKA took the ref, allowing Taichi to use a mic stand and a chair on Ospreay on the floor. Sabre also attacked Tanahashi on the floor, leaving him laying. While Taichi took the referee, Sabre used a neck crank and a guillotine on Ospreay, using the ropes for leverage. Sabre tagged in, and used a single-leg crab. Taichi and Sabre used a series of quick tags, working over Ospreay. Ospreay hit a handspring kick, and managed a tag to Tanahashi. Tana hit dropkicks on Sabre and Taichi, then a crossbody off the second rope on Sabre. Tana hit a dragon screw, but Sabre countered a slingblade attempt with a cobra twist. Taichi jumped in for dueling cobra twists, but Tana and Ospreay reversed into twists of their own. Tana hit a pumphandle slam, and caught a PK. Sabre dodged slingblade again, and hit a step-up PK. Ospreay and Taichi got tags. Ospreay hit an enziguri, but Taichi hit a buzzsaw kick. Ospreay caught a second kick, then hit a lariat. He made a cover, but Sabre broke up the pin. Tana jumped in and hit Twist and Shout on Sabre, then rolled him to the floor. Ospreay went for the Storm Breaker, but Taichi hit a low blow, then used a Gedo Clutch for the pin. Sabre and Taichi beat down Tana and Ospreay after the bell. Sabre posed over Tana with his British Heavyweight title, while Taichi took Ospreay's NEVER title, and posed with it. A showcase match for the IWGP Champion White. Bullet Club used a distraction from Gedo to take over at the outset. They brawled into the crowd. YOSHI-HASHI beat the count back inside at 18. They beat on YOSHI-HASHI for a long time, before he finally hit a screw kick and tagged Nicholls. Nicholls and HIKULEO worked well together, before White and Goto got tags. Goto avoided a Blade Runner, while White escaped an ushigoroshi and a GTR. The match broke down, again leaving Goto and White legal. Goto hit an ushigoroshi for a nearfall. Goto went for a GTR, but White popped up and hit a Blade Runner, then got the pin. They started off having an okay match. It was kind of slow, but it was kind of good. It told a nice story, as both guys worked over each other's ribs. Then, the spirit of Vince Russo entered the building. I haven't seen anything this overbooked in years. We had two ref bumps, manager interference, weapons, powder, a run-in, a low blow, a belt shot, and an immediate post-match beatdown of the winner. Juice entered like a man possessed, running down the ramp and diving into the ring. They threw hands. Juice went to hit the ropes, but Jado grabbed his ankle. Chase used the distraction to nail Juice with a superkick on the floor. Chase posted Juice's back, and stretched him. Back inside, Chase continued to focus his attack on Juice's core, stomping on his ribs. Chase teased a Juice Box off the top rope, but Juice fought it off. Chase hit a knee to the ribs as Juice was draped across the top rope, then used a bodyscissors on the mat. Juice fired up and made a brief comeback, but Jado used a kendo stick shot to cut him off. Chase sent Juice to the floor. He went for a suplex, looking to drape Juice over the barricade, but Juice countered, and suplexed Chase into the railing. Juice repeatedly sent Chase into the barricade, slammed him against the post, then hit a senton, back in the ring. Juice went for a second senton, but Chase got his knees up. Chase hit a GTR, then a shining wizard. Chase hit a short knee strike to the face, then hit the Jewel Heist for a two count. Chase went for a package piledriver, but Juice backdropped out. With Chase kneeling, facing the corner, Juice hit a cannonball. Juice hit a superplex into a jackhammer for a two count. Juice used a crab, and Chase tapped, but Jado took Red Shoes, the referee, and he missed the tapout. Chase sent Juice into Red Shoes, who took a bump to the floor. Juice pounded on Chase with left hands. Jado jumped in and hit Juice with two kendo stick shots, but Juice no-sold them. Juice hit Jado with a jab, then a pair of kendo stick shots. Chase threw powder in Juice's eyes. Well, he tried anyway. He missed Juice, but Juice had to sell as though it hit him. Chase hit him with a low blow, then a gutbuster. It looked like the finish, but Juice kicked out. Juice hit the Left Hand of God and a powerbomb, but Jado pulled Red Shoes out before he could count to three. Fale ran in and speared Juice. Chase grabbed the belt, but missed Juice with it, and hit Fale. Juice hit the Left Hand again, then hit Pulp Friction for the pin. Fale attacked Juice after the match. He went for the Bad Luck Fall, but Nicholls ran down to make the save. I knew they were going a long time based on the first ten minutes, but the match never dragged. It kicked into high gear around the 18 minute mark, and never let up from that point on. Both guys were incredible here. They began with five minutes of mat work. They traded holds, and traded one counts. Okada used a standing side headlock, but SANADA used the hold to transition to the Paradise Lock. SANADA broke the lock with a dropkick. SANADA went for his leapfrog dropkick, but Okada dumped SANADA to the floor, then hit a pescado. Back in the ring, Okada hit back elbows in the corner, then a neckbreaker. Okada hit a one-legged dropkick to the neck, then continued to work the neck with a chinlock. Okada used a sleeper, then went back to the chinlock. SANADA escpaed, and hit a dropkick to the left knee. SANADA went for a standing moonsault, landed on his feet, then hit a dropkick to the back. SANADA then hit the leapfrog dropkick, and low-bridged Okada to the floor. He followed with a senton off the apron. Back in the ring, Okada hit a back elbow in the middle, a back elbow in the corner, and used a DDT for a nearfall. Okada hit the Air Raid Crash for a two count, again, working the neck. Okada hit a top rope elbow, then hit the Rainmaker pose. SANADA didn't allow Okada to attempt the Rainmaker. He took a whip into the buckle, flipped to the apron, then hit a springboard dropkick. They exchanged strikes. SANADA dropped Okada with an uppercut forearm. He went for a TKO, but Okada slipped behind. Okada placed SANADA on the second rope, then dropkicked him to the floor. Okada sent SANADA into the railing, then booted him over the barricade. Okada hit a draping DDT off the barricade, still attacking the neck. SANADA beat the count back inside. Okada hit a Woo dropkick off the top rope, and got a nearfall. Okada went for a tombstone, SANADA reversed to Skull End. Okada reversed back to the tombstone, but SANADA reversed and hit the tombstone. SANADA hit a back suplex for a two count. SANADA used Skull End. As Okada fought for the ropes, SANADA hit a tiger suplex for a nearfall. SANADA went for a top rope moonsault, but Okada got his knees up. Okada used a backslide to gain wrist control, and hit a Rainmaker. He went for a second, SANADA slid out, and Okada hit a dropkick. Okada hit a tombstone. SANADA slipped out of a Rainmaker, and used Skull End. Each ducked a Rainmaker, and Okada used Skull End. SANADA reversed that into his own Skull End. SANADA used a giant swing with the Skull End grip, then sat down in the hold. Okada laid down for a nearfall, but SANADA went back to Skull End. SANADA transitioned to a lateral press, but Okada kicked out at the last millisecond. SANADA went up top, but missed with a moonsault. Both men sold complete exhaustion at the 30 minute mark. SANADA missed a moonsault, landed on his feet, and Okada hit a Woo dropkick. SANADA no-sold it, and hit a TKO for a nearfall. SANADA hit a backbreaker. He walked towards the turnbuckle, but Okada grabbed him by the ankle. SANADA climbed to the second rope, went for a moonsault, but Okada caught him, into a tombstone. Okada grabbed wrist control. SANADA slipped out and went for a moonsault. Okada hit a spinning Rainmaker. Okada hit one more Rainmaker, and pinned SANADA. White and Gedo came to the ring during Okada's post-match promo. Gedo told Okada that White would send him to hell at MSG. White said that he's better than Okada, Okada has never beaten him, and Okada can't beat him. White promised to leave MSG the IWGP Champion, and promised Okada that he will breathe with The Switchblade. Okada said that he doesn't understand what White said, but White isn't on his level. He promises to go to MSG and win the title. Confetti fell, and Okada posed with the New Japan Cup trophy as the show ended.